This yellow flower, found in Hawaii’s Tropical Botanical Garden on the Big Island is a gorgeous example of Hawaii’s floral abundance. With long flanges for the blossom head, this flower stands out from the crowd. 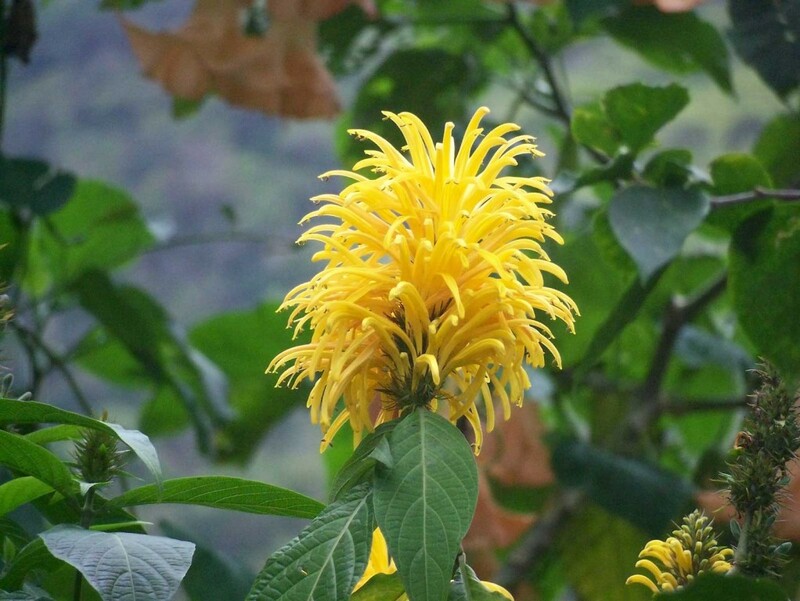 Updated: Thanks to Leslie Vary who identified this flower as a justicia aurea, also called the yellow plume flower. The yellow flower in the Tropical Botanical Garden on the Big Island, posted September 8, 2011, is a justicia aurea, also called the yellow plume flower. It is a shrub native to Mexico and Central America.